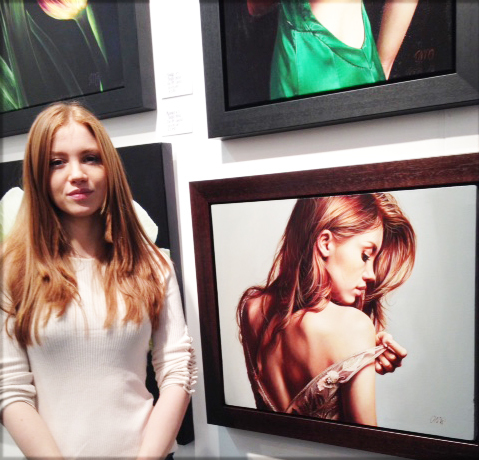 Amelia Isobella my beautiful muse standing next to one of the paintings I made of her at affordableartfairuk. It caused quite a stir when she was next to the paintings and people could see how accurate my likeness is. Visitors were asking to photograph us and the paintings together that was a very weird feeling for me at the time. Click here for more about their international fairs.